Disgraced former New York Rep. Anthony Weiner could mount a serious Democratic primary challenge against City Council Speaker Christine Quinn, whose lead in the mayoral race is slipping, a new NBC New York/Marist College poll shows. Weiner, who resigned after a 2011 sexting scandal but has been edging back into politics, could throw the Democratic primary into disarray, siphoning votes not only from Quinn but from other contenders, including Public Advocate Bill de Blasio and former Comptroller Bill Thompson, the poll reveals. The poll of registered voters taken last Thursday through Monday offers the first glimpse at what the race would look like with Weiner. The survey shows that if he entered the race now, he’d start out in second place, with 15 percent of the vote among Democratic respondents. After a New York Times Magazine piece was published Wednesday detailing Anthony Weiner's consideration of a mayoral run, Weiner spoke to NBC 4 New York for the first time Wednesday. That’s short of front-runner Quinn’s 26 percent, and nowhere near the 40 percent needed to avoid a runoff. And there are still many voters who are wary of his return, including 50 percent of Democrats who said they wouldn’t consider voting for him. People like 70-year-old Mary Reynolds, who lives in Weiner's former Brooklyn congressional district and took part in the poll. "Oh, Anthony Weiner, he annoys the devil out of me," Reynolds told NBC 4 New York in a follow-up interview. "He's a spineless person. I would not vote for him at all. I speak with my neighbors, and they say, "What is he, a joke?'" Representative Anthony Weiner announces his resignation from Congress. *Warning: A heckler uses inappropriate language during this press conference. Still, some findings in the poll could be seen as encouraging for Weiner, who aspired to be mayor for many years before his career hit the rocks. He has only recently gone public with his story and begun attempts to repair his image. In that context, he can already tout results. VIDEO: Weiner Confesses: "The Picture Was of Me and I Sent It"
During a tearful news conference on Monday, Rep. Anthony Weiner apologized and said he is "deeply ashamed" for sending inappropriate text messages but said he does not plan to resign. His favorability rating jumped from 34 percent to 45 percent since Marist last asked voters about him two months ago. The number of voters with an unfavorable impression of him hasn’t changed much; it stands at 41 percent. The poll surveyed 873 registered voters, 556 of whom were Democrats. Results for the Democratic respondents had a plus or minus 4 percentage point margin of error. Results for the entire group of registered voters had a plus or minus 3 percent point margin of error. Quinn has suffered from being the front-runner, and the target of most negative campaigning, Miringoff said. The City Council speaker polled at 37 percent in February, several points higher than she stands now, with or without Weiner. Her favorability is also down among Democrats since February, from 65 percent to 59 percent. According to the poll, if Weiner entered the Democratic primary today, his 15 percent would put him behind Quinn’s 26 percent but ahead of City Comptroller John Liu (12 percent), de Blasio (11 percent), Thompson (11 percent) and former City Councilman Sal Albanese (2 percent). By comparison, without Weiner, Quinn would receive 30 percent of Democratic votes and de Blasio would be second with 15 percent, followed by Thompson (14 percent), Liu (11 percent) and Albanese (2 percent). In short, with Weiner in the race, Quinn, de Blasio and Thompson all suffer. "He’d make it much more difficult for anyone to reach 40 percent to avoid a runoff," Miringoff said. Those numbers illustrate the fluidity of the Democratic primary, in which 22 percent of voters remain undecided, the poll shows. And even among those who have a preference, only about a third say they’re firmly committed. "This is a race with no incumbent," Miringoff said. "It’s understandable that voters are going to be shopping around. And Weiner doesn’t clarify that." The undecided include Arthur Raphael, 52, of Brooklyn. Raphael, who participated in the poll, said in an interview that he was a supporter of Weiner's when he was in Congress, and thought that the sexting scandal was blown out of proportion. He said he wanted Weiner in the mayoral race, if only as an option. "He deserves to be given a voice and to be in the race and to be heard and to be a part of the debates," Raphael said. "I"m not saying I'm voting for him, but I believe he's earnest and possibly not corrupt." Pollsters asked general election voters about two hypothetical November matchups against likely Republican nominee Joe Lhota. If Quinn was the Democratic nominee, she’d beat Lhota 59 percent to 19 percent. If Weiner were the nominee, he’d beat Lhota 51 percent to 28 percent. In both scenarios, 21 percent said they were undecided. Weiner, 47, resigned from his Brooklyn congressional seat in June 2011 after using Twitter to send provocative photos of himself to women and when the exchanges became public, he claimed he’d been hacked. He eventually confessed and went into virtual hiding with his wife, Huma Abedin, a senior adviser to Hillary Clinton. At the time, Abedin was pregnant with their first child. Weiner first ran for mayor in 2005, and nearly forced a runoff against Fernando Ferrer, but conceded in the name of party solidarity. He planned to run again in 2009, and was considered a leading contender, but dropped out after Mayor Bloomberg chose to run for a third term. 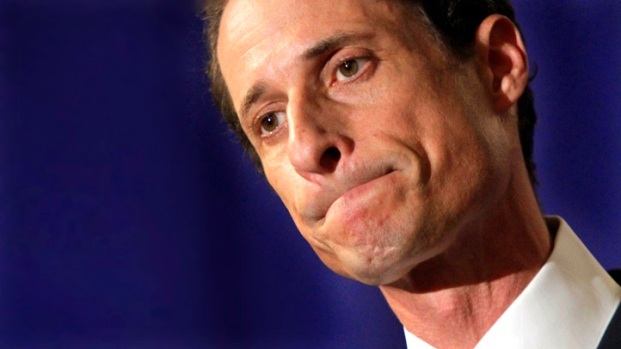 Prior to his unraveling, Weiner had begun to plan for a 2013 campaign. He still has more than $4 million in his campaign account. In recent weeks, Weiner has been making slow steps toward another mayoral run. He commissioned an internal poll in March to gauge what voters thought of him. He granted a series of intimate interviews with The New York Times Magazine, which resulted in a cover story that detailed his efforts to repair his marriage and decide whether to pursue his political dream. He released a policy booklet that was similar to one he distributed in anticipation of running in 2009. And he sat down with NY1 for an interview, broadcast Monday, in which he talked policy, apologized for his past behavior and said he was nearing a decision on the 2013 race. One advantage that Weiner enjoys is name recognition: for good or ill, a lot of New Yorkers know who he is. 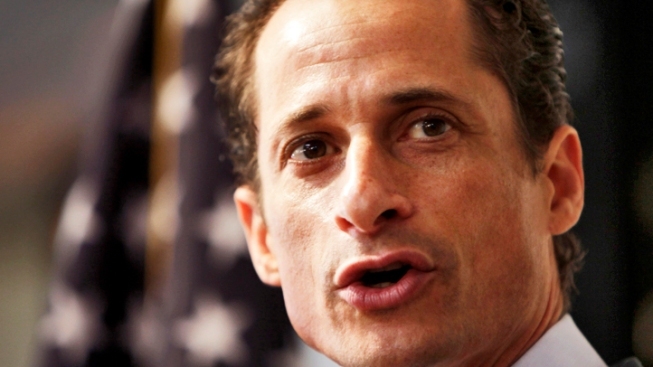 Democrats seem to be warming to the idea of a Weiner candidacy. In an October poll, only 28 percent wanted him to run, and 57 percent did not. Now, 40 percent want him to run, and 46 percent do not, the poll found. But Democrats are divided on whether Weiner has changed as a person. Thirty-seven percent think he has, and 32 percent disagree. The remaining 31 percent aren’t sure. "Weiner can look at that and say, ‘A third are on my side right now,'" Miringoff said. But the numbers also show that if he chooses to run, "he’s clearly going to have to prove himself."